Panel on "How the West was Writ: A Pioneer, a Latino, a Blackfeet Native American and a Guy from Massachusetts Walk onto a Stage..."
Margaret will appear with authors Manuel Ramos, Stephen Graham Jones and Mark Stevens. 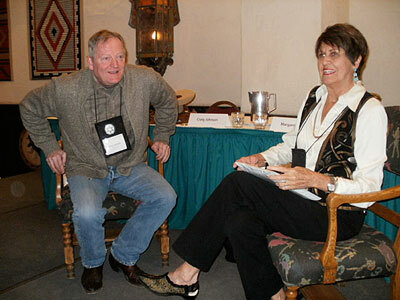 Margaret will also be signing books on February 10 and February 11 as the guest author at the Crowley Company booth. 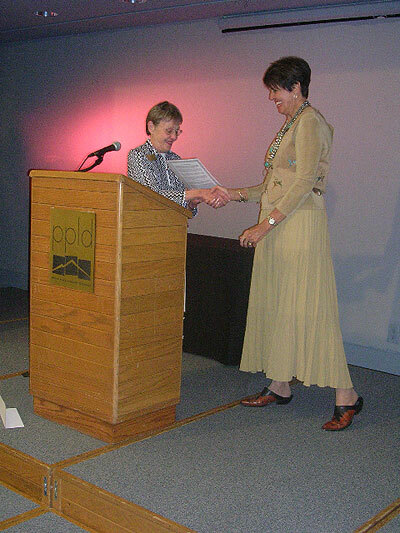 October 20, 8:30 a.m.-3:30 p.m.
Margaret receiving the Frank Waters Award. 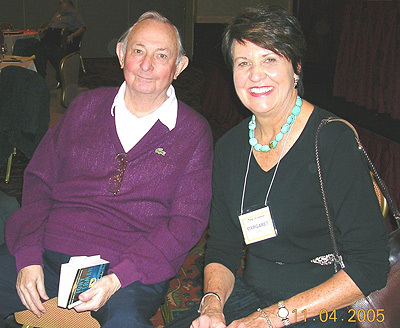 Tony Hillerman and Margaret at the 2005 Hillerman conference. At the National Federation of Press Women national conference in Denver where Margaret was one of the speakers. 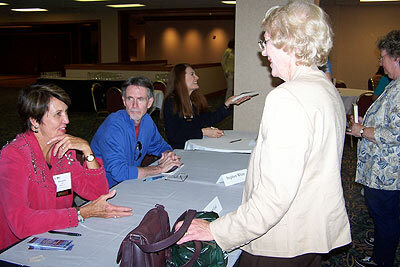 The photo is a book signing with Stephen White, author of Kill Me, and Jeannette Walls, author of The Glass Castle.